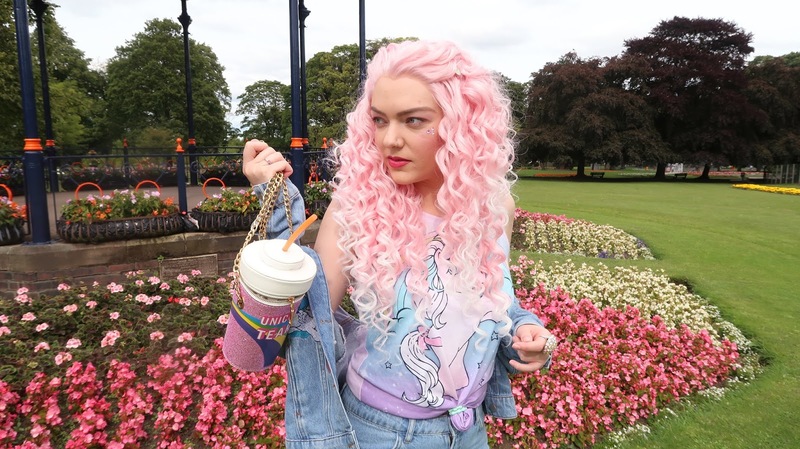 Wig – EvaHair use code ‘LOUISE’ for money off! I hope you’re all having a sparkly start to the week! 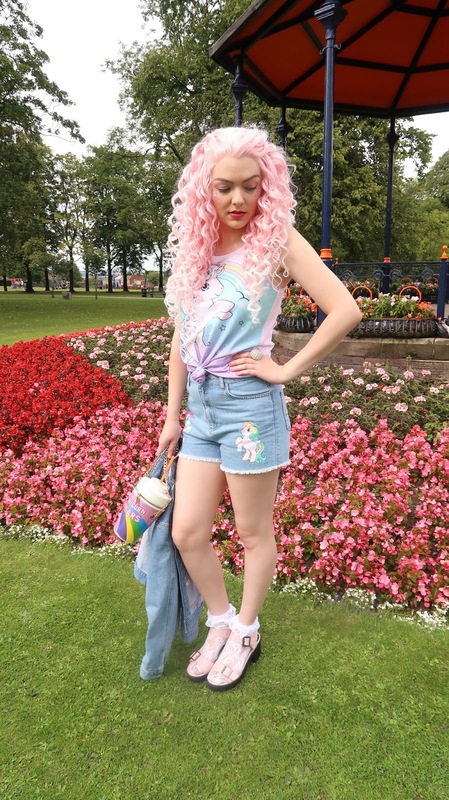 So in case you weren’t aware, I have a ‘slight’ obsession with My Little Pony! I have quite a large collection of My Little Pony, all from when I was younger. They’re all original of course, I much prefer the vintage My Little Pony to the newer ones, although I have to admit they are still rather cute! 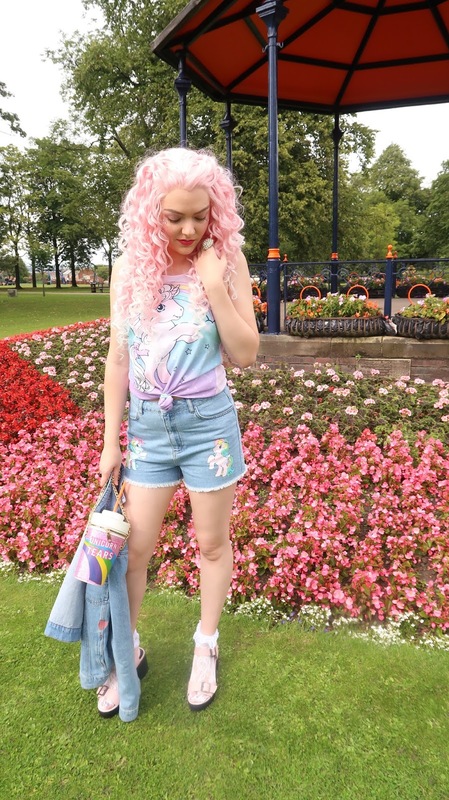 So when I seen that Primark was bringing out a My Little Pony range, I had to nab as much of it as I could of course! 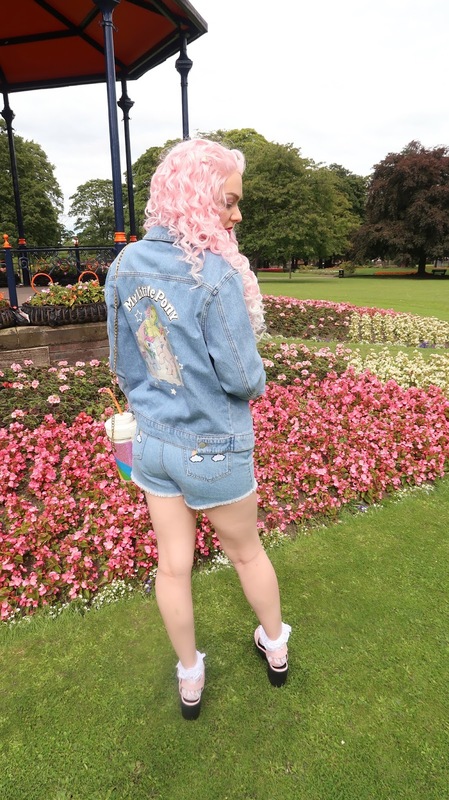 I adore that the range included some denim shorts with a matching denim jacket. 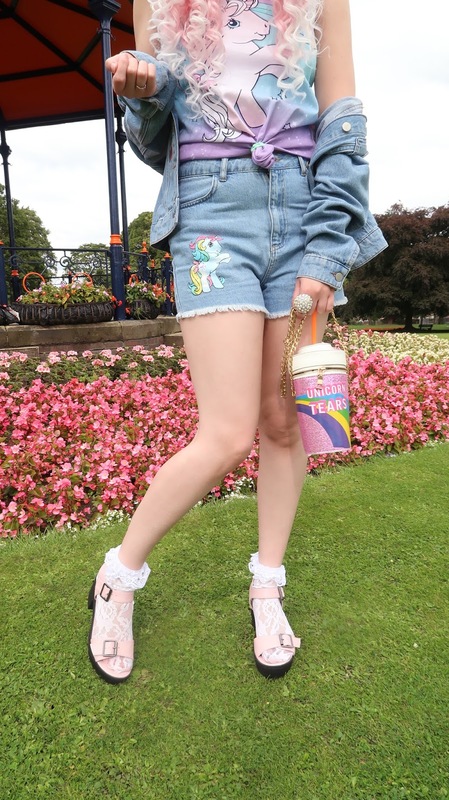 It’s so 90’s and fits with the My Little Pony theme so well. The top I’m wearing is actually a night top, but I think it works well as a day top too. 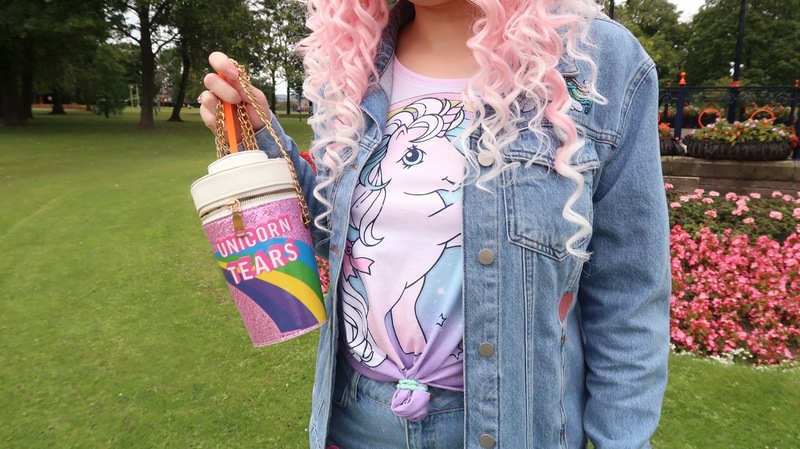 I paired the outfit with some cute socks, pink sandals and this unique ‘Unicorn Tears’ bag that I think all go very nicely with the aesthetic. 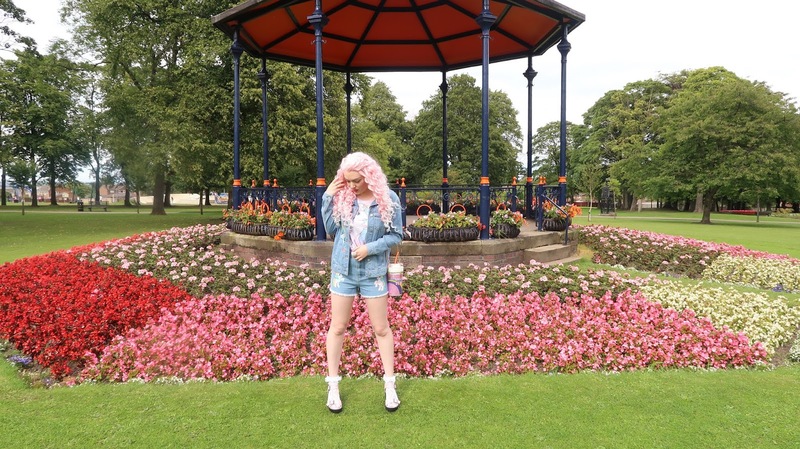 I admit this outfit is very full on, but for those who want to add a little fun into their wardrobe all of these pieces are very wearable on their own as a more casual outfit with plain pairings. Did anyone else manage to pick up anything from the range? If so, how did you style it? By the way, if you want to see what else I picked up from the range I’ve included my YouTube haul of everything I purchased below! 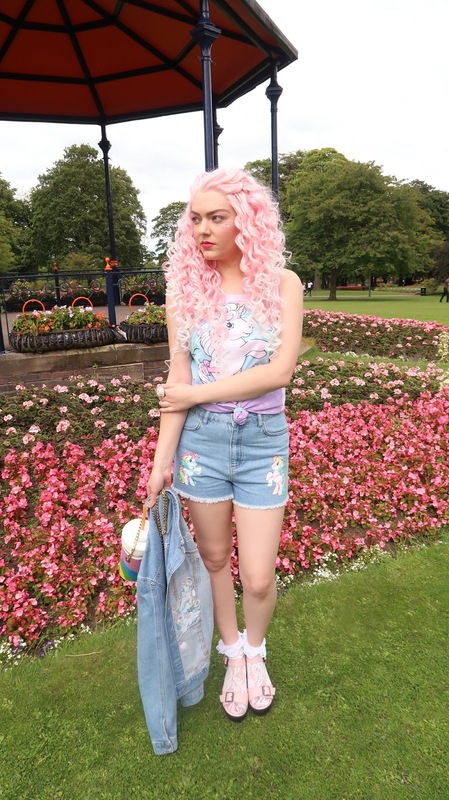 I do think that most of the range has gone now from stores, but you can always check the sale section in Primark where I have seen some of the pieces still hanging around just the other day! Ebay is also a great place to find it! 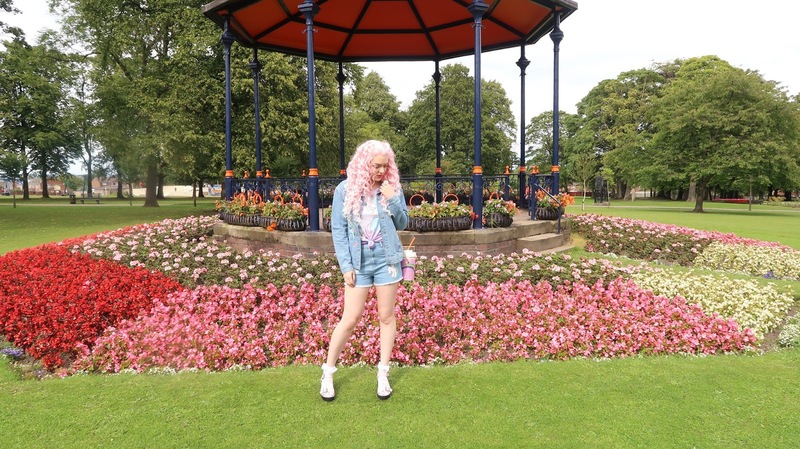 May Favourites | ASOS, Public Desire & McDonald’s!